Finding mice in your attic is actually a much more common problem than you may think. Mice like the shelter from the elements that your home provides, and your insulation provides a nice soft nesting area for the mice to call home. There are numerous ways mice can work their way into your attic, common ones being ventilation ducts, gaps in siding, pipes, and chimneys. Mice are able to crawl through walls and make their way into your attic, so sealing off any entrance points is critical, otherwise they will make their way back in once you remove them. If you’ve spotted mice anywhere around you home, there is a good chance they have made it into your home, or will soon. What can start as just a single mouse, can turn into an infestation in a hurry. Mice are known to carry a variety of diseases, parasites, and viruses which can be harmful to you and your family. Even once the mice have been removed, the urine and droppings they leave behind pose a number of problems. Diseases can be contracted just by inhaling dust that has been contaminated. The danger they pose really is much larger than the animal itself. The trained professionals at Critter Control in Orlando are experts in assessing your home, and sealing entry points. We are also able to remove the mice that have already taken up residence in your attic. 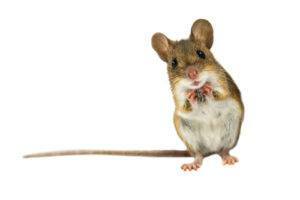 We will ensure that all mice have vacated your home, and that they do not return. We will work with you to develop a plan for restoring you home and any damage that has been done. We remove any waste left behind, as well as any foul odors, and return your attic to its former glory. We are even able to replace any insulation that is damaged. Give us a call today at 407.295.7194.